Princess Crystal's Royal Letters: I am an Empath…Are you? 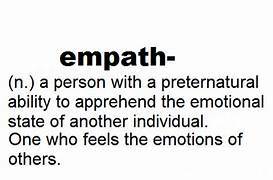 I am an Empath…Are you? Have you ever been around someone and you instantly feel your own breath being vaporized out of your body as they move closer? You feel as if the oxygen has been vaporized with the snap of a finger and your left off balance and dizzy. Suddenly, you are hit with a painful wave of emotions that gives you an instant migraine or a stomach ache. You cannot describe what is happening to you, let alone speak at the moment while you are still trying to catch your breath. This person’s searing pain becomes overwhelming to each of your senses with each step they make toward you. Unfortunately, you know at any minute you are going to suffocate under the weight of the person’s emotional pain. Instantly, you reach out to touch someone different to connect with, rather than use an excuse to leave the room. Do you ever feel emotions or rage that you know is not yours, but your mood switches like someone flipping a light switch? Have you ever made a instant connection with someone that is so powerful that they literally erased all former connections that you may have had before that actual encounter? Sometimes, people don’t notice a person’s body language and non-verbal cues, but that is what you notice more than anything else about a person. Do you find that even the connections you make each day at the grocery store or doctor’s office, can drain you or empower you in an instant? Do you prefer to isolate yourself to keep these emotional waves from crashing inside your body and mind? Most days, just being able to focus is hard when you feel everyone’s else’s joy and pain, so you have learned to set boundaries with people in your life about just dropping by. Don’t worry, it doesn’t get any better, but you can learn to control it...once you accept the truth. You were fearfully and wonderfully made completely different by an all-knowing creator, who absolutely made you absolutely perfect as an Empath!